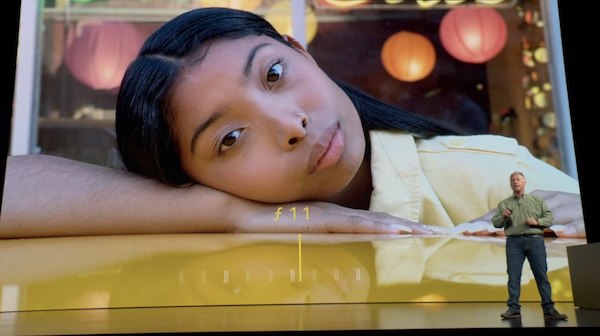 Apple kicked off its ‘Gather Round’ flagship event on Wednesday, finally unleashing its new iPhones. Fans had a lot of fun guessing the names of iPhone X’s successors, and can now put their uncertainties to rest with the iPhone XS, iPhone XS Max, and iPhone XR. 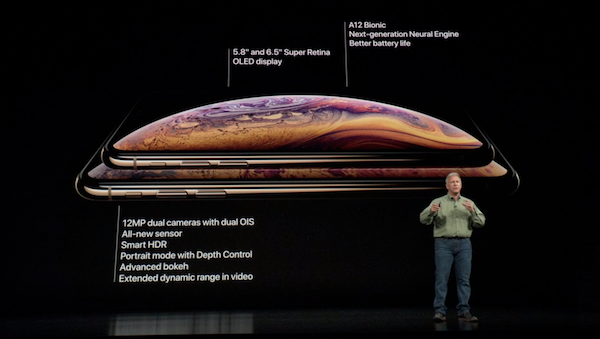 “iPhone Tennis” jokes aside, 2018’s higher-end iPhone XS models are extensions of 2017’s iPhone X, and come with OLED screens, the notch, 3D Touch, and TrueDepth technology powering Face ID. What sets them apart, though, is their supercharged performance, dual-SIM support, and ‘Super Retina’ resolutions. 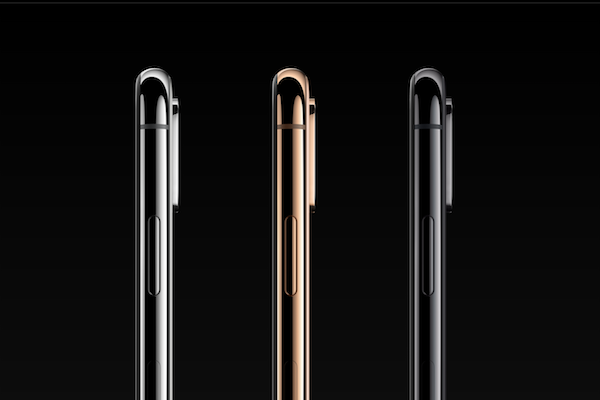 They’re also decked in surgical-grade stainless steel, have IP68 water resistance, and are available in silver, space gray, as well as a new gold sheen. Have a closer look at the new generation of flagship iPhones below. 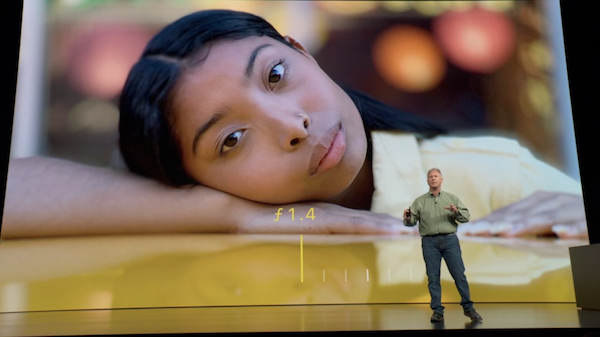 The iPhone XS has a 5.8-inch ‘Super Retina’ OLED display with a resolution of 2436 x 1125, and remarkably has 60-percent higher color dynamic than the iPhone X. 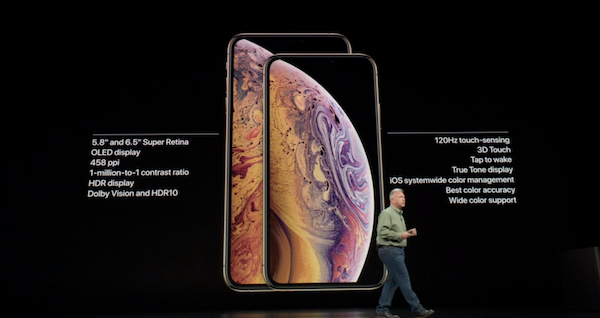 The iPhone XS Max, on the other hand, has Apple’s largest smartphone display yet with a ‘Super Retina’ OLED screen measuring 6.5 inches, as well as a 2688 x 1242 resolution. While it’s the same size as the iPhone 8, the end-to-end screen means there’s more to be seen. This year, Apple decided to double down on performance. The XS models run on the new ‘A12 Bionic’ chip that promises to be 15-percent faster than the A11 chip—which Apple says was already the quickest processor in the smartphone industry—and with 40-percent less power. To give you an idea of A12’s prowess, Apple says that while the A11 could run 600 million operations, the new chip can launch five trillion. The iPhones XS and XS Max are thus able to launch apps 30-percent quicker than iPhone X. Apart from its speed, the all-new processor allows for machine learning to be processed 900-percent faster, sharpening the visual quality of features like ‘Memoji’ and Group ‘FaceTime’. Coupled with the new iOS 12 performance updates, the two iPhones are expected to launch apps 30-percent faster. The iPhone XS lasts 30 minutes longer than the iPhone X, which supposedly stayed alive for about 11 hours on a full charge. The iPhone XS Max runs a little longer, and lasts about an hour-and-a-half longer than the iPhone X. The iPhones are equipped with 12MP wide-angle dual-rear cameras and 7MP front cameras, which means they haven’t deviated much in physical design from that of the iPhone X. 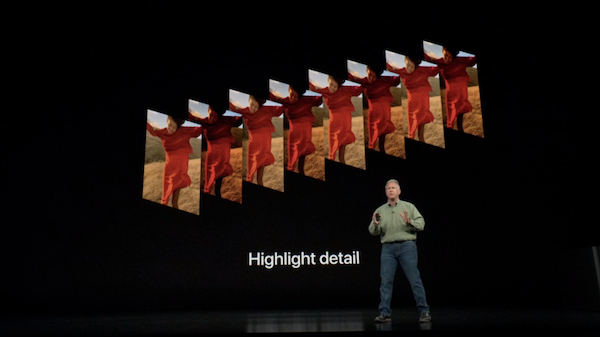 More notably, Apple has introduced an all-powerful ‘Smart HDR’ feature, which snaps more photos at various exposures, including long exposures. The camera then chooses the best frames to stitch into the perfect picture. Phil Schiller, Apple’s senior vice president of worldwide marketing, pointed out that you’re typically not supposed to point your camera at the sun, but ‘Smart HDR’ defies the odds by meticulously refining highlights and shadows in the image below. There’s now also an option to toggle the depth-of-field of your snapshots for a more atmosphere feel. It’s the “new era of photography,” Schiller said. Both iPhones can hold up to 512GB of storage, thanks to the new A12 chip. They’re also available in 64GB and 256GB options. At long last, Apple has decided to pack its iPhones XS and XS Max with dual-SIM support, and it has its own name: ‘Dual SIM Dual Standby’ (DSDS). 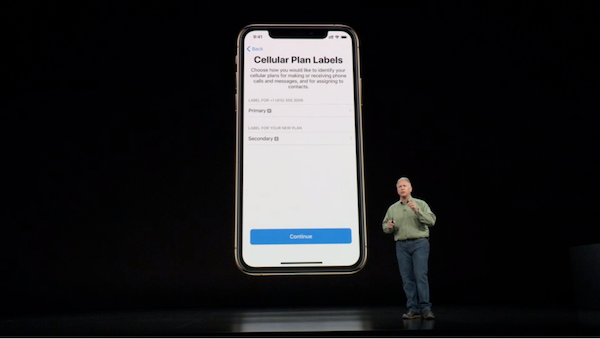 Now, you’ll be able to have two different numbers and two different mobile carriers in one iPhone—perfect for work purposes. During incoming calls, the feature also lets you know which line is being called, so you’ll be able to ignore clients during vacations. 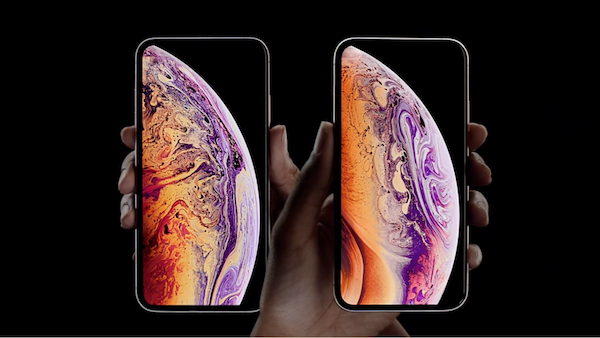 Both iPhones XS and XS Max come in three colorways: a brand new ‘Gold’, ‘Space Gray’, and ‘Silver’. 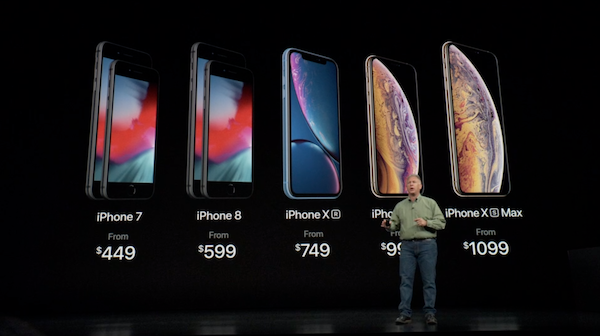 Similar to last year’s iPhone X, the iPhone XS starts at US$999. 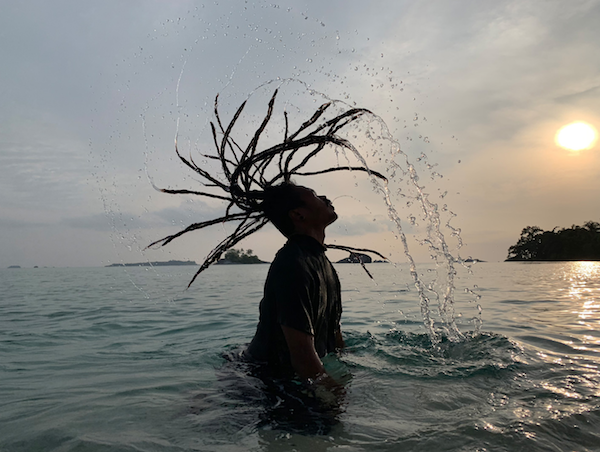 The XS Max, on the other hand, starts at US$1,099. 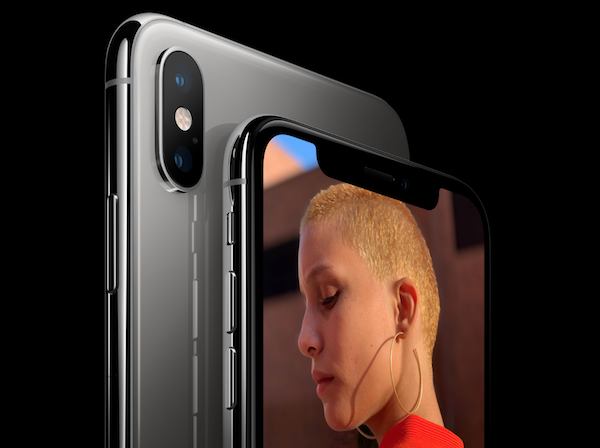 Additionally, Apple removed the original iPhone X from its lineup, and has brought the starting prices of the home button-equipped iPhones 7 and 8 down to US$449 and US$599 respectively. The iPhone XS and XS Max are poised for preorders on Friday, 14 September 2018, and will begin shipping the week after on Friday, 21 September 2018. For more details on iPhone XR, please visit here.